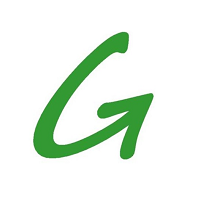 The GDN consulting firm provides your enterprise, institution or not-for-profit organization with a unique range of pioneering cloud products, leading-edge technology and strategic advices. While the 1st part of the Asian Century has been shaped by convergent tipping points (such as global demographic shifts to millennial generations, urbanization acceleration, client-centricity trends and insight-driven models, sustainability crisis and ever-ageing population), the combined Ages of Smartness, Wellness and Happiness are bringing web 4.0 to the fore and will define the next few decades with even more radical social, economic and geopolitical displacements ahead. Backed by decades of experience, GDN consultants turn around 21st century challenges into opportunities, sharpen and future-proof your vision and policies, guide and boost your strategies, delivering your initiatives risk and fault-free: On-Objectives or Beyond, On-Budget or Below, On-Time or Before.